Could early detection of cancer reduce your odds of curing it? reduce your odds of curing it? I've told you for years that you have cancer. We all have cancer. That is, we all have cancer cells floating around in our bodies. For most of us, though, our immune system deals with these cancer cells without any trouble. They become a problem only when our immune system doesn't work right. And yet, modern medicine continues to have the wrong thinking about cancer detection and treatment. I'm hopeful that's starting to change. After decades of unproven medical dogma, that's about 100% accepted as true, medicine is slowly and grudgingly accepting that cancers come and go, spontaneously. Until now, the dogma has been that cancer acts linearly. Like an arrow, it goes in one direction. But in a JAMA article, researchers showed that many tumors would not be a problem if left alone, undiscovered by screening. They were destined, on their own, to stop growing, shrink, or even disappear. Dr. Barnett Kramer is associate director for disease prevention at the National Institutes of Health. "A cell acquired a mutation, and little by little it acquired more and more mutations. Mutations are not supposed to revert spontaneously." So, Dr. Kramer said, the image was "an arrow that moved in one direction." But now, Dr. Kramer added, it is becoming increasingly clear that cancers require more than mutations to progress. They need the cooperation of surrounding cells and even, he said, "the whole organism, the person," whose immune system or hormone levels, for example, can squelch or fuel a tumor. Cancer cells and precancerous cells are so common that nearly everyone by middle age or old age is riddled with them, said Thea Tlsty, a professor of pathology at the University of California, San Francisco. That was discovered in autopsy studies of people who died of other causes, with no idea that they had cancer cells or precancerous cells. They did not have large tumors or symptoms of cancer. "The really interesting question," Dr. Tlsty said, "is not so much why do we get cancer as why don't we get cancer?" This is blowing the minds of the pundits and blowing a gaping hole in the idiocy of early detection. Early detection is bogus in my book. If early detection actually prevented advanced cancers, we would see a corresponding decline in advanced cancers due to the earlier diagnosis. That's not the case. 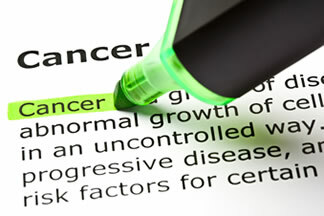 I stress the strategies you can take to actually reduce your risk of cancer. I don't think that getting whipped into a frenzy to detect cancer (after the fact) is good for you, your pocketbook, or your vital organs. We just don't know if any particular cancer would have gone away on its own. If a friend or neighbor extols the fact that he/she is still alive because of early detection/treatment, it simply means, to me, that his/her cancer was destined to go nowhere. And what we really don't know is how many people (who would have had a benign course) go on to get aggressive cancers simply because their doctor treated them with conventional interventions. Is it possible these treatments are making cancer worse? Are they destroying your ability to find a cure? It now appears that the answer to both questions is yes. I am in favor of tests that can predict risk. Pap smears are one. PSA only to detect prostate inflammation is another. Thermograms, to detect breast temperature changes that precede cancer by years, is a third. I can't be the one to tell you not to do anything if a test suggests a cancer. But I personally would be loath to do a conventional approach knowing that such approaches might jar a relatively sleepy cancer into a giant. I just hope I've given you something to consider.